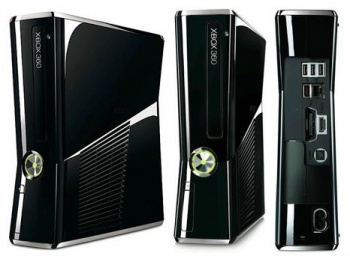 Microsoft's Yusuf Mehdi believes the Xbox 360 can ship another 25 million units, while the next console generation will do even better. The games industry is a lot bigger than even a single generation ago, and by most projections that growth is expected to continue. For many publishers and developers, the hope is that such increases will be heralded by a new console generation, as the industry transitions away from aging units to a brighter, flashier tomorrow. Microsoft's senior vice president of Interactive Entertainment Business, Yusuf Mehdi, certainly hopes so, but he still thinks the Xbox 360 has quite a bit of life in it. Not only does he believe the system will continue to succeed, but that with Microsoft's support, the eight-year old console will go on to boast a combined 100 million sales. "We believe over the next five years we can break a 100 million unit installed base," Mehdi told OXM. "To sell another 25 million, half of those will probably come from replacements, but half will come from new buyers. And the way we'll break into those segments is by hitting new price points, getting new classes of entertainment to come with the Xbox, and breaking into new customer segments. So you'll see the Xbox 360 continue to exist, even as we launch the next generation Xbox One." Microsoft intends to present its future Xbox 360 plans at E3, but Mehdi adds that real industry growth will come from next-gen consoles. "Every generation, as you've probably heard, has grown approximately 30%," Mehdi told OXM. "So this generation is about 300 million units. Most industry experts think the next generation will get upwards of about 400 million units [over the next decade]. We think you can go broader than a game console, that's our aim, and you can go from 400 million to potentially upwards of a billion units. That's how we're thinking of the Xbox opportunity as we go forward." Even accounting for Xbox One, PS4, and Wii U projections, Mehdi's one billion is probably on the unrealistic side. It's certainly great to imagine 1/7th of humanity playing on consoles together, but unless the market exceeds 200% growth, 400 million is the more likely estimate. Mehdi's proposed 25 million Xbox 360 sales could be feasible, but current-gen console growth has been tricky to gauge lately. It all depends on what Microsoft has to say at E3, so until then, we'll just have to wait and see.